The former Chief Commissioner of Victoria Police, Ms Nixon was appointed in February 2009 to chair the Victorian Bushfire Reconstruction and Recovery Authority and tasked with the oversight and coordination of the largest recovery and rebuilding program Victoria has ever faced. Under Christine’s leadership, the Authority worked with communities, businesses, charities, local councils and other government departments to help people rebuild their lives and communities. Since August 2010, Christine has moved into a role as the Victorian Government’s Advisor on Bushfire Reconstruction and Recovery, a voluntary role. She continues to support communities, to work with the bereaved community, and remains a member of the Victorian Bushfire Appeal Fund panel. Christine’s priority is to help communities recover and rebuild in a way that is safe, timely, efficient, and respectful of each community’s different needs. Prior to joining the Authority, Christine was the 19th Chief Commissioner of Victoria Police, the first woman to become a police commissioner in Australia. She led 14,000 staff, operating across more than 500 locations and oversaw an annual budget of $1.7 billion. Nixon was a police officer for over thirty years and prior to becoming Chief Commissioner of Victoria Police she had an extensive career in the New South Wales Police Force, attaining the rank of Assistant Commissioner. In 2011, “Fair Cop” was published. It “candidly shares the public and private stories of Christine Nixon – woman, spouse, citizen, constable – on a journey that encounters tragedy, corruption, ambition and humility.” In line with her public speaking skills, she is a contributor and lecturer in various leadership forums, including the Australian and New Zealand School of Government and Harvard University’s Policing Leadership Dialogue series. Christine also creates and delivers leadership courses with the primary aim of helping women to achieve positions of power and influence. 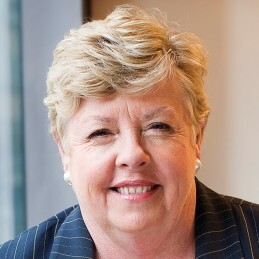 She is a Fellow in various organizations, including the Australian Institute of Police Management, the Australian Institute of Management, and the Institute of Public Administration Australia, and she serves as Patron, member or advisor to a number of organisations including the Alannah and Madeline Foundation, Onside Victoria, Operation Newstart Victoria and The Phoenix Club Inc. Her rise to the top and her unique view on women in law enforcement and the workplace makes Christine one of the most informational and inspirational public speakers in the country. Her presentations focus on women in business, succeeding in a male dominated profession, and how to build both leadership and teamwork skills. Christine is both intelligent and witty, making for a memorable and purposeful event.